On Tuesday, the latest startup out of Science Inc., the startup studio headed by former MySpace CEO Mike Jones, launched. Uncovet (www.uncovet.com), headed by Heather Lipner, said it would help consumers discover the most sought-after items from up-and-coming designers, vintage finds from select high-profile brands and home products. The company is the sixth from Science, and we thought we'd chat with Heather about the new company. What is Uncovet all about? Heather Lipner: Uncovet is a part of Science Inc., and what we do, based on my experience in design and technology and all he help we get from Science, is we've created a product that really understands what the trends are in fashion and interior design. Our customers get a daily email of all these really cool things in fashion and interior design which are on-trend, really cool, and which they can get at a discounted price. What's your background and why did you start the company? Heather Lipner: I've been in tech and design for twelve or thirteen years. I actually started in music, when Napster was really big. I got really interested in technology, and was very passionate about music. That's how I got in, and I ended up working at different design firms designing products for lots of starts. Most recently, I was at MySpace, where I was the creative director for rebranding and for the new site. During all of that time, beside music being one of my big interests, I was also into fashion and interior design, something I have a really strong personal interest in. I have done everything from weaving to upholstery as a hobby. It was really great to pull together all of my interests in technology, fashion, and design, and create a really cool, unique site out of it. There seem to be a lot of fashion/ecommerce sites cropping up lately, how are you different? Heather Lipner: I think that a lot of other sites are concentrating on just one type of style. However, you find today that the young, hip kids are actually interested in different style genres. They might really be into urban, but also be into preppy, and also into bohemian. On Uncovet, we're scouring any kind of style and products, the best of all of these. On top of that, we're using data and technology to recommend products based on a user's personal style, and building a style graph around that. Can you talk a little bit about the technology end of the business? Heather Lipner: What we do, is we really dive into a user's personal preferences. We use an open graph, which we get through their activity within our own site, and we're building out their personal graph so that we can recommend products to them and to their friend that we think they will like. For example, we might know that you're really into crafts, like stationary, illustration, and we can use that to start recommending products you like. How did you connect with Science--was that the MySpace connection with Mike? 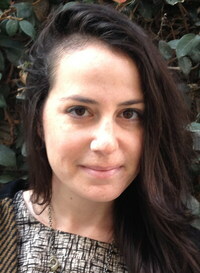 Heather Lipner: We co-founded it together. I've known Mike Jones for a really long time, since I as working at an agency. At the time, he was at Userplane, which had just been sold to AOL, and we had been helping Userplane and with AOL. Because I had known him for a long time, I started working at MySpace, where I met Mike Macadaan and the other partners at Science. It's really good to work with people you've worked with in the past, because if it works, it works. What's your next goal for the next few months? Heather Lipner: It's really about understanding the style graph. It's about getting smarter and smarter, and understanding different genres, and how to match it appropriately with current users, and finding new users who would also like that. We are very into understanding data, and what is trending on sites like Pinterest, and what is going on with blogs, Twitter, and what people are talking about, so that we can deliver products people want right now.